You are totally awesome! Taylored Expressions Release day! 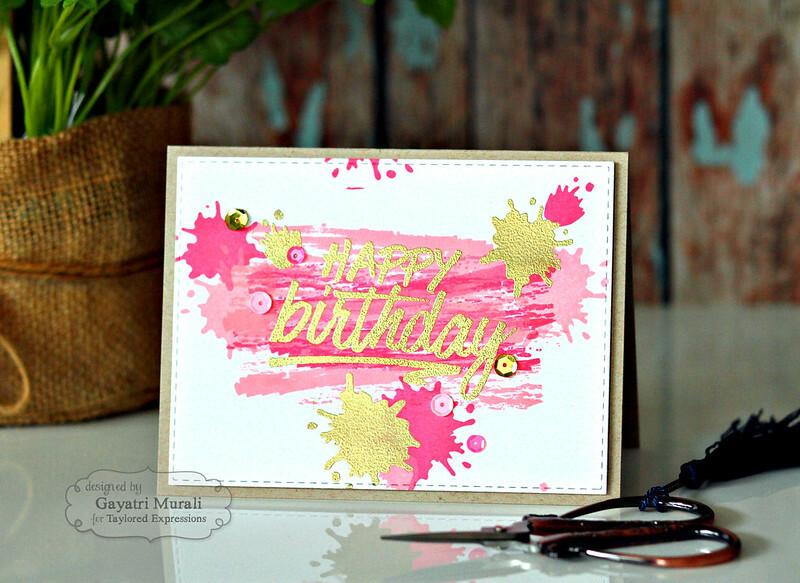 Today I am sharing couple of cards I made using a new stamp set called Bold Brush Strokes! I LOVE the brush fonts on this stamp set and the size of the font is nice and big. Perfect to use as a focal point. And the sentiments are awesome too. I have combined this set with Stroke of Genius 2 Stamp Set to make my cards. Here is my first card. 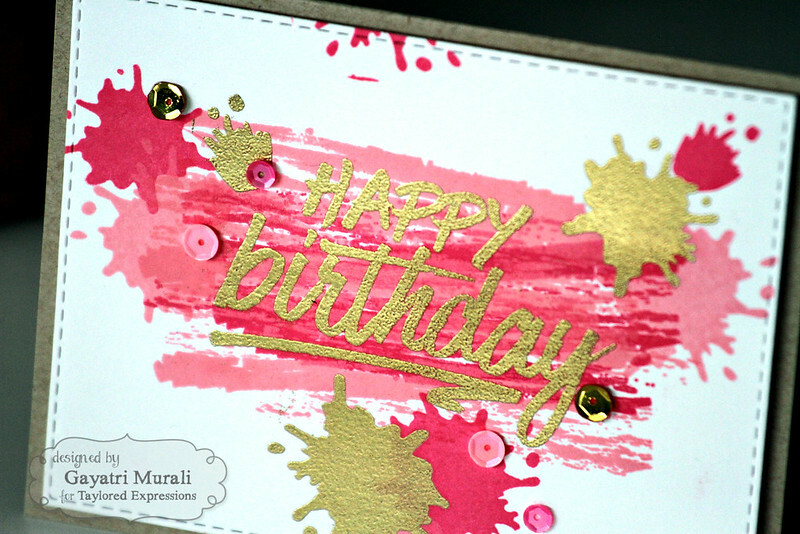 This is a girlie birthday card using three different shades of pink. I have used the images from Stroke of Genius 2 stamp set and stamped in three different shades of pink. The ink I have used are from Altenew. Then I gold heat embossed the sentiment from Bold Brushstrokes stamp set as well as three spatter images from Strokes of Genius 2. Love the touch of gold. Then I die cut the panel using the largest of the stitched rectangle die from Stitched Rectangle Stacklets and mounted the panel on kraft card base. Finally embellished with sequins from various Taylored Expressions collections. My second card is masculine. My son always wanted me to make masculine teen cards to give his friends. This one is for him. On this card, I have layered the images from Stroke of Genius 2 stamp set. I love these images. They are truly a stroke of genius 😉 Using blues and yellow this card becomes masculine. I don’t believe in muted masculine card. I like them bright. Hence I have used bright blue and yellow along with navy. 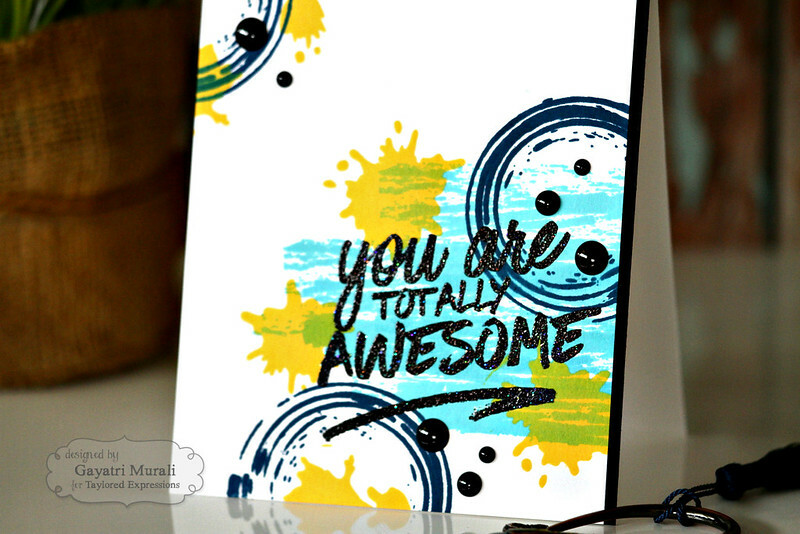 Then I black heat embossed the sentiment from Bold Brushstrokes stamp set. Looks totally cool! To bring in more black colour to tie in with the black sentiment, I added a strip of black cardstock and embellished with Doodlebug Beetle Sprinkles enamel dots. Hope you like my cards using the new stamp sets. All the new release stamp set, dies and embossing folders are available for purchase from Taylored Expressions Store. Head over to Taylored Expressions Blog for more inspirations from Taylor and the talented designers. Both of your cards are fantastic, Gaytari…I'm lovin the pretty colors and all the shimmery gold!!! 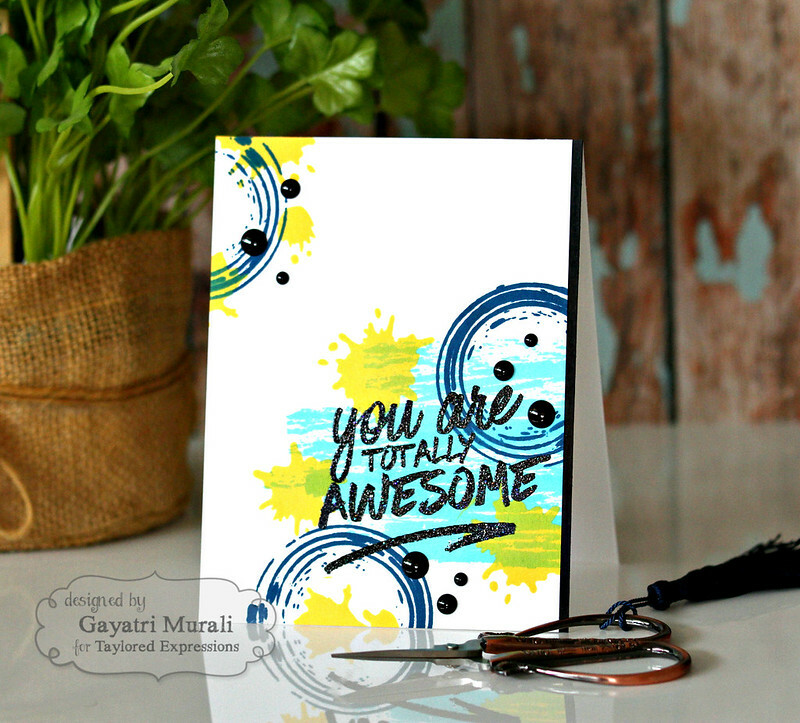 Gorgeous cards Gayatri. The bright colours are fabulous.